You may have seen my blog post about how I was able to make a weighted blanket for my baby to help him sleep. It is still one of the most popular pages on the site! I have since started to make them for other people as well, and I have even received some orders from people who saw my blog post but didn’t have the time or equipment to make their own. 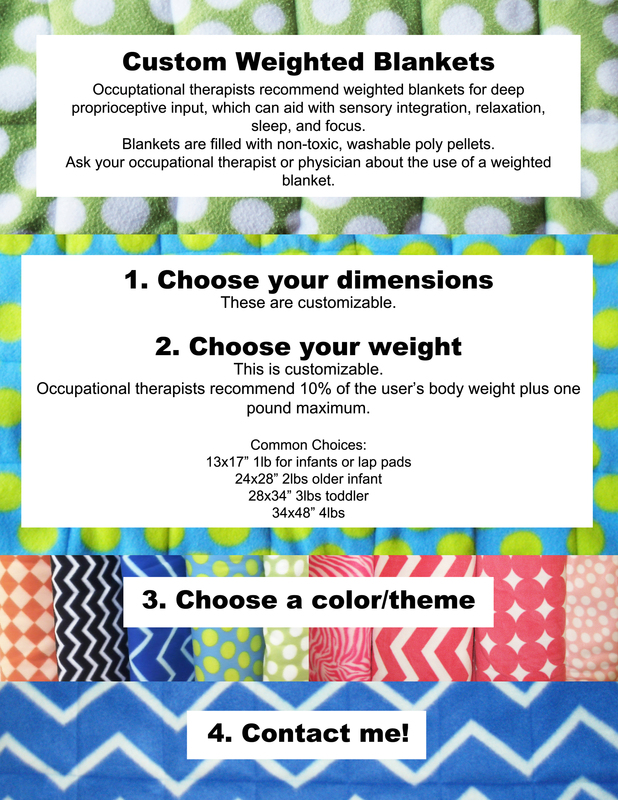 A word about pricing… Each blanket I make is customized to meet the needs of your child, so I can’t really say here what the cost will be for you, but the majority of the cost is materials. I recommend fleece, as it’s much more durable. All blankets are washable and dry-able, though you can hang dry it if you wish. Feel free to ask me any general questions in the comments below, or email me at suburbamom@gmail.com if you have questions specific to what you want. Would you do a larger one for my 110 lb teenager? I recently looked into purchasing one and it is very costly. Hi. I sent you an email to your listed email address earlier this week and I haven’t heard back. Just following up. Could you please email me back?? thank you! Where do you purchase your poly pellets? I get them at the craft store, but others have found them online. How much would a 2 lbs blanket be I need it for my daughter who might be autistic? I am interested in having your make a blanket for my grandson. I think he probably weighs about 80 pounds. I’m not sure what weight it would need to be. And I’d like it a bit larger than what you have listed here. Would you be able to do this project? And if so how much would it cost?